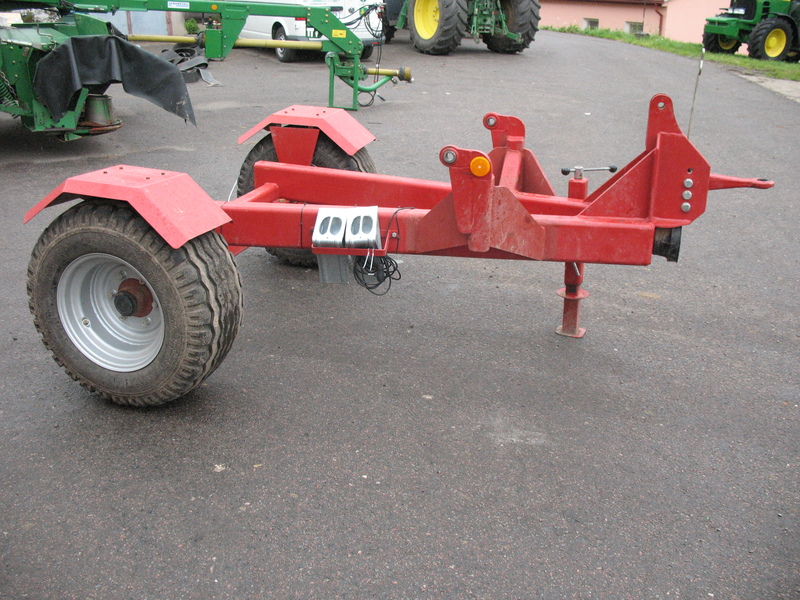 The NRB type carrier is intended for trailer spreaders of chemical fertilizers. We produce the spreader carrier in working widths 1.5, 1.8 and 2.25 m. Maximum allowable axle load is 5000 kg and the total weight is 5800 kg. The spreader carrier is intended exclusively to be operate with chemical fertilizers spreaders with 3-point hitches class 2. 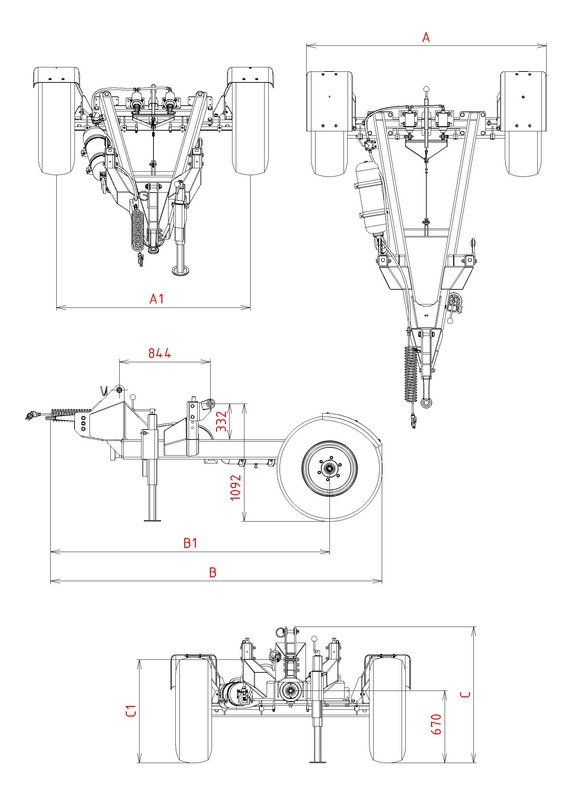 Spreader carrier is in standard version equipped with wheels 15.0/55-17 147A6, inflation pressure 0.28 MPa 13x17, for a fee it can be equipped with pneumatics 12.5/80-18 145A8, inflation pressure 0.32 MPa 11x18 or 500/50-17 155A8, inflation pressure 0.35 Mpa 16x17. 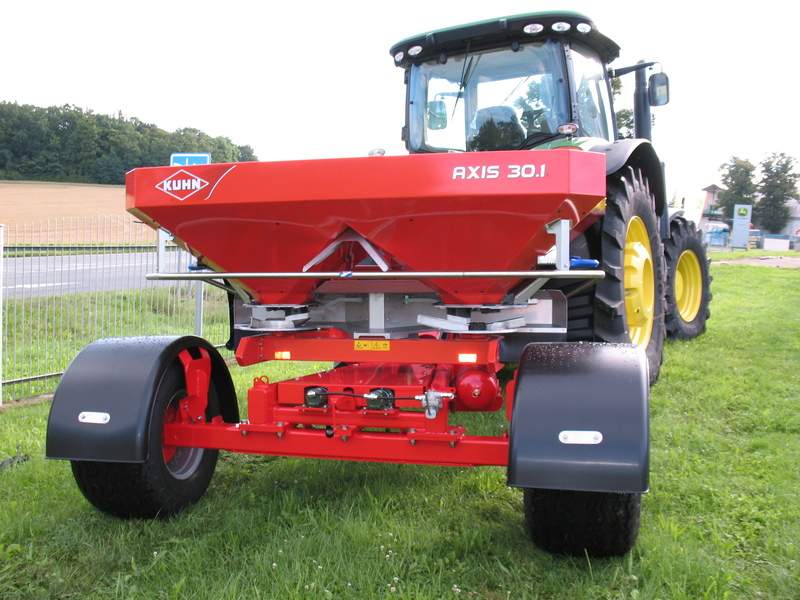 The axle of the NRB type carrier of chemical fertilizers spreader is equipped with one hose braking system. It can be paint to the spreader colour like an option. The carrier is equipped by depth foot to assure its stability if being parked. Are you interested in NRB chassis? Do not hesitate to write us.